ARE YOU LOOKING FOR AN ALL INCLUSIVE, RELIABLE, SAFE AND QUICK BLACK CAR SERVICE FROM MIDWAY? Legendary Private Car is the premium black car service near my location with all-inclusive flat rates, a phenomenal fleet of cars and the best chauffeur service in Chicago. You’ll surely love all of these fabulous vehicles, including but not limited to luxurious SUVs, First and Business Class Sedans. This livery company has everything you need for a superb VIP experience on the road, so what’s stopping from making the most of it? Book your luxurious ride now, for better transfer tomorrow. CLICK NOW ON BOOKING AND EXPERIENCE THE BEST CHICAGO MIDWAY CAR SERVICE YOU HAVE BEEN SEARCHING FOR. Who Offers the Best Rides to Chicago Downtown near MDW? You guessed it! Legendary Private Car organizes the finest Midway Car Service near Chicago Downtown, which is always backed by the impeccable customer care, available around the clock to ensure you’re always supported. Still, no matter how hot the traffic is on the day of your takeoff or arrival, your driver will arrive on time and won’t let you feel stressed at any second. With us, you’ll have fantastic options when it comes to transfers to any regional airports in the area. Just imagine getting to O’Hare International Airport (ORD) in a Lexus LS460. Or having a professional driver in a Cadillac XTS pick you up DuPage Airport (DPA)? 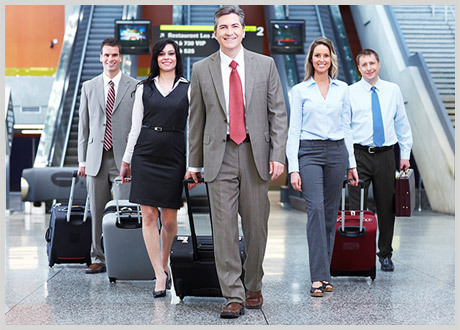 Even hiring a business sedan for your corporate travels to Palwaukee Chicago Executive Airport (PWK), is always an option. Because when you trust us with your time, money and schedule, Legendary repays by being on top of the task. All the transportation experts in this team are here to work diligently to ensure you’re freed from annoying waiting times and stressful rides. That holds true for airport transfers, but also for wedding transportation, rides to concerts, sporting events, medical appointments or any other car service near Midway you require. This Chicago livery service in your area is continually working on topping their own standards. Why? Because Legendary loves to see you happy with all the services provided whether the starting point is McCormick Place, Chicago Union Station, somewhere on North Shore or any other location in Chicago. What Is the Best Way to Get to Midway Airport? That, of course, depends on your starting location. The route will be a bit different if you’re on your way from North-West Chicago Suburbs like Barrington or Schaumburg or from South-West Chicago Suburbs like Naperville, Burr Ridge or Hinsdale. Even when your desired destination is somewhere in Deerfield, Glencoe or Highland Park, the Legendary team knows which road to take. Enjoy the highest level of support when you choose Legendary Midway Black Car Service nearby. You don’t have to break your head with questions like “How to get from Midway to Lincolnshire?”, “What is the fastest way from Northbrook to MDW?” or “Where to find a Midway chauffered service close to Wilmette”. Call 847-875-9797 and your luxurious car rental me will with be handled with delicate but efficient touch.